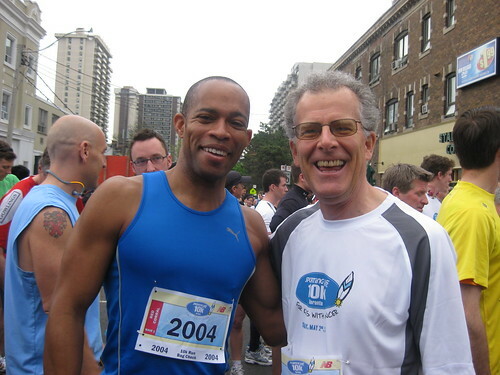 With the CBC’s Ron Charles at the Toronto Sporting Life 10K 2010 for Camp Oochigeas. I watched Ron’s TV news reports in Montreal over 20 years ago. TO ALL THE KIDS WHO SURVIVED the 1930’s 40’s, 50’s, 60’s and 70’s ! !